Enjoy hot summer nights with varied activities in and around Discovery at The Realm! The Club at Discovery is open and staffed Wednesday through Sunday. Pop in to meet neighbors over an ice cold local craft beer or a glass of pinot grigio, or join the Game of Thrones watch party potluck every Sunday through end of the season. Soak up the sun at our Pool Pavilion, which is open until midnight. Further afield is Lava Cantina, perfect for concert-style performances from some of the area’s best local bands. Lava Cantina’s summer calendar includes performances by popular cover bands like Petty Theft and Texas Flood, or you can get your groove on with Hip Hop Hooray and LeFreak. For something more chill, watch classic and new movies at nearby Coyote Drive-In. 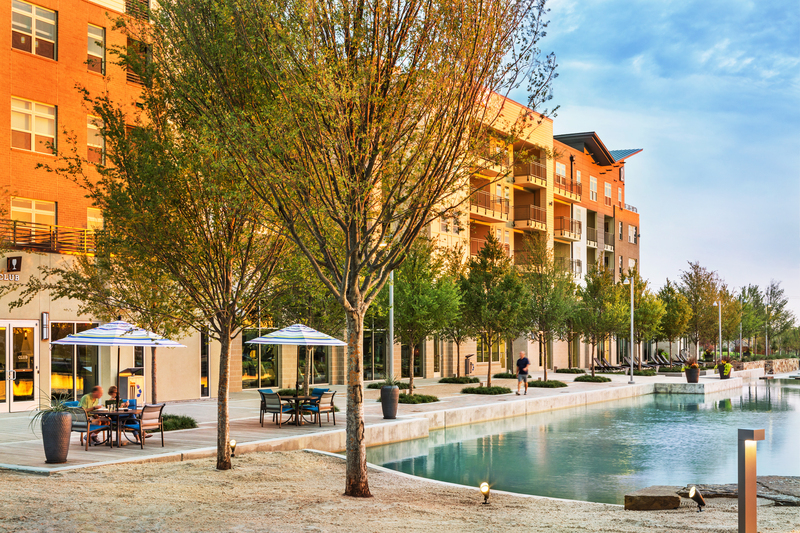 Discovery residents are also just a small Uber-fare away from north Texas newest mega-destination for shopping, dining and entertainment: Legacy West. Be one of the first to check out the new Shake Shack or True Food Kitchen. Read more about all of the amenities at Discovery at The Realm here.